Sally Ashton is a poet, writer, teacher, and Editor-in-Chief of the DMQ Review(www.dmqreview.com), an online journal featuring poetry and art. She earned her MFA in Poetry and Literature from the Bennington Writing Seminars. 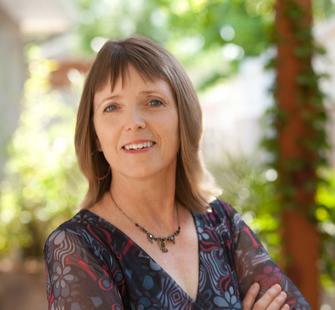 Ashton served as the second Santa Clara County Poet Laureate, 2011-2013. She is the recipient of an Artist Fellowship, Poetry, from Arts Council Silicon Valley and is the author of three collections of poetry, two of which were nominated for Pushcart Prizes. Poems also appear in An Introduction to the Prose Poem, and Breathe: 101 Contemporary Odes, as well as in literary journals such as Sentence: A Journal of Prose Poetics, 5am, Mississippi Review and Poet Lore. She has a keen interest in the intersection of the arts and in the relation of image to word. Her current project considers shifts in perceptions of time, space, and identity through the prism of network theory. Ashton has three grown children and lives in Los Gatos, CA with her husband, Frank.